"I am getting too fat. I need to lose weight." How often do we hear this from friends, family members and colleagues? Almost everyday. Part of the aging process is slowed metabolism which in part, causes weight gain. Most of us engage in some form of routine exercise, however, we find it frustrating to lose 2 pounds and gain 3 pounds back! There are 6 main reasons why women have trouble losing weight. These 6 main reasons are hormones, slower metabolism, stress, low energy, appetite and water retention. Good thing we have SLIMQUICK® Pure Extra Strength Mixed Berries Drink Mix is designed for women to help them lose 3 times the weight by addressing the 6 physical reasons women have trouble losing weight. It is formulated to help women to lose weight 3 times faster than any other supplement. What makes SLIMQUICK® better than others out there in the market? Aside from being 0 calories, it contains all natural ingredients like antioxidants, calcium, vitamin D and BioPure Green Tea™. 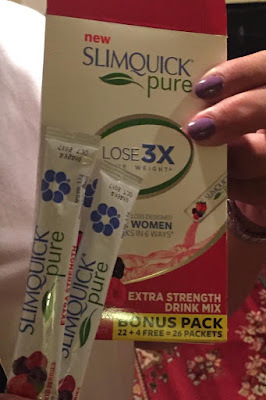 BioPure Green Tea™ is exclusive to SLIMQUICK® Pure. The fat burning component of green tea has been isolated and added to increase your metabolism rate, therefore helping us lose weight in a faster, healthier and more effective way. Tastes great too! SLIMQUICK® wants to make sure that we reach our weight loss goals and they understand that it is difficult to do this without any support. This is the reason why they created the SLIMQUICK® Community where we can collaborate with other women also trying to lose weight. We can exchange recipes, view meal plans, and support from the SlimQuick coach and learn helpful tips for weight loss. Now, we don't have to feel left out and alone in this weight loss journey! How cool is that? 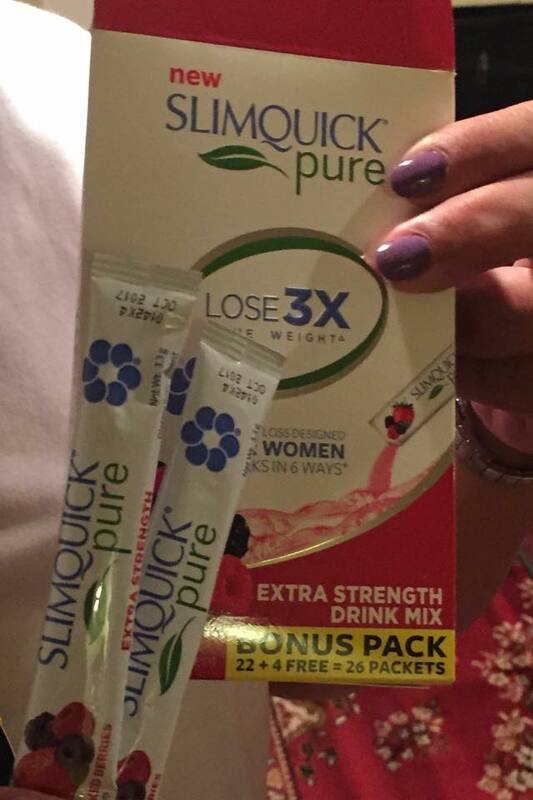 For those women who love to take on a challenge, SLIMQUICK® offers its customers to join a program to lose 25 pounds. We get full emotional support, weekly motivational tips, healthy recipes and exercise advice to get us through the journey. But wait, this doesn't stop here! 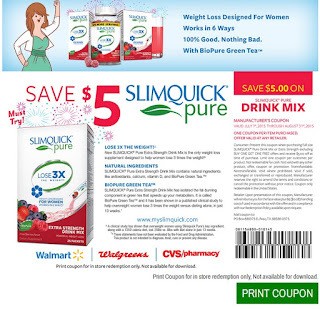 They are offering $5 off when you purchase SLIMQUICK® Pure Extra Strength Mixed Berries Drink at any of the participating stores! Click HERE to print your discount coupon. Disclosure: This is a sponsored post powered by Brandbacker for SLIMQUICK® Pure Extra Strength Mixed Berries Drink. I have been compensated and received the samples for free. When I started my green drink, It tasted horrible to me at first. Then, someone told me that when your body is highly acidic it's not going to taste good until your body becomes more alkaline. Well, it happened to be the case for me and Green energy drinks started to taste a little better.